Public Notice November 28, 2018 19:30 – 21:30 S.F.P.D. Board of Trustees Regular Monthly Meeting. At the Sechelt Fire Department, 5525 Trail Ave. Open to the public. 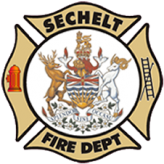 Please contact the Sechelt Fire Department for more information.